Many academic courses expect students to write reviews of books. These reviews are meant to test their understanding of the books as well as what they learned from them; in addition, through these reviews, they are testing the logical and analytical abilities of the writers. Book reviews are a necessary part of the development of scholars. They may be required at any stage of your life- academic, or professional life. You can also get a personalized and custom book review done for you by one of our experts. All you need to do is just to order our do my book review service here. Book reviews offer critical perspectives and reflections on a book/ content or subject matter from a book. Writing a review is not simply writing a summary of a book. In fact, it requires the writer to comment on every aspect of the book- the author, the author’s writing and descriptions and thought processes. It is a kind of intellectual discussion with the ideas of the author, engaging with the ideas, testing them, comparing, evaluating and making sense of them. Through a book review, the writer determines at what points he finds the book compelling or irrelevant, what are the strengths and weaknesses of the work, the writing. A book review is like a journey through a book- it gives us an idea of what readers encounter when reading a book and to what extent, they are able to assimilate and relate to it- the feelings they create in the narrator. Therefore, a book review is a scholarly form of opinion expressed in an appropriate format. The structure of a book review is similar to that for other academic essays and assignments. To be impactful, a book review has to be planned and organized. An average book review has to be written concisely as far as possible and should not exceed more than 1000 words. Anywhere between 500-1000 words are considered as a good length.The referencing and citation format you may have to follow is usually along with that prescribed by MLA Or APA writing style. 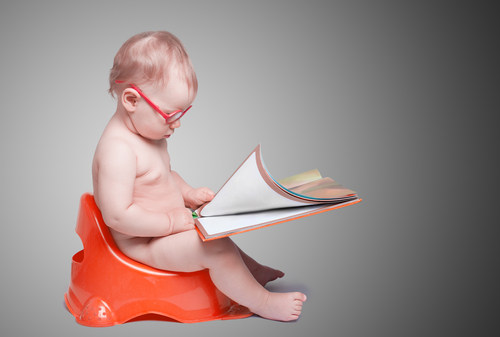 Throwback to the good old days when reading a book was just about surviving potty training. The essay body should show the organization of the text into the introduction, body, and conclusion.The introduction of the essay should mention the thesis: in this case, the book you are reviewing and its main ideas in a succinct form.You would also mention the key learning points in the introduction including the objective or purpose of the book.A brief context would be useful; such as the period when the book was written or any significant events which played a significant role in the writing of the book. The body of the text is where you get into the business of full elaboration. This part is where the writer describes the story in brief or in parts according to the layout of the book. The writer can intersperse this description with the original author’s own thoughts and expressions and provide commentary on it- what aspects were interesting, what was particularly moving. The commentary could include the hidden ideas as well as overall impressions made by the writer. You can note down such things as what points were well presented, or described; what made less of an impact or more of an impact; what could have been described or written better. In fact, you are thus giving a critical analysis of the book. Towards the end of the review, you can also discuss in what way the book would be relevant to the wider audience and whether the book would be appreciated or not. The merits of the book with respect to world literature, as well as books on similar themes, could be mentioned. Some questions which can help you on the task of getting a review done in an in-depth way include: determining the objective and purpose of the book and what the author’s intention through writing the book is. Many students may feel a bit awkward in writing book reviews as for this kind of writing, you are in the position of the assessor, the evaluator, the judge. You do not need to worry too much about this. The whole purpose of this kind of an assignment is to develop your critical analysis and writing skills. The more thoroughly and fully, you put yourself in the role expected of you, the better the outcome would be. In addition, it is not the perfection of what you have put into the review, that counts; rather, it is about the way you have tackled the book and expressed your opinions and views. It is also about your ability to understand the background and inner purpose of the story or the book. More importantly, unlike other kinds of essays, book reviews are primarily about opinions and interpretations and much lesser about the facts, though, facts are required.